The best way to announce the news to your loved ones is by telling them in person. You don’t want the news spreading elsewhere before you’ve told the most important people! They will pick up on your excitement and feel included in the moment. Go old skool and get your engagement published in your local newspaper. Not only will your whole town get to hear about the big news, but your older relatives will be impressed! Post on Facebook, Instagram or other social media sites to get the word out! 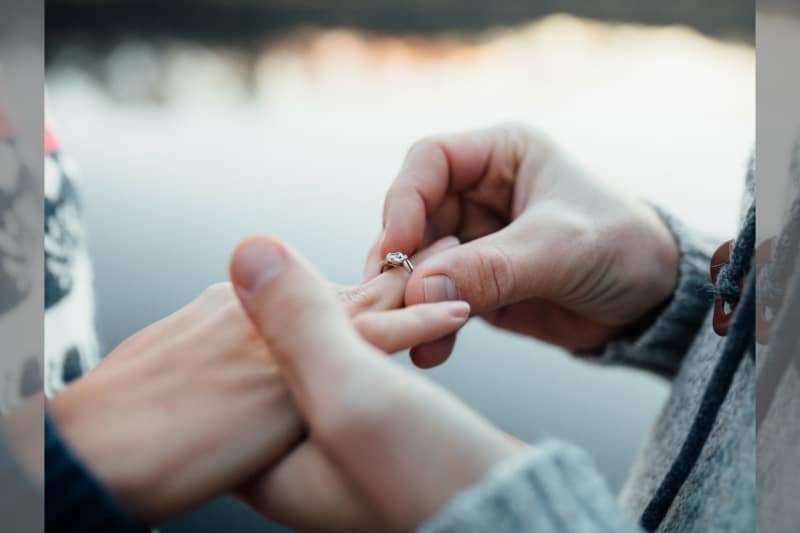 Don’t forget a cute proposal photo showing off your ring, and of course, make it official by changing your relationship status to ‘engaged’! If you managed to get photos or videos of your proposal, why not upload them? It will give an intimate edge to your engagement and allow your friends and relative to feel almost like they were there to witness your special moment in time. Write your news in the sand, create a timeline of your relationship, or even get your pet involved! No-one will be able to resist their ‘aww’s when they spot your pooch bearing a message of engagement on behalf of it’s humans! Put pen to paper and formally invite your family and close friends to an engagement do. Add the finishing touch to your news with music, champers and making an entrance with your new fiancé!